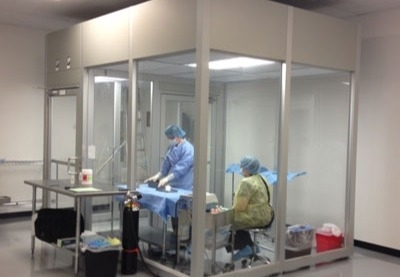 Two technicians hard at work in the clean room at the annex. In so many ways, the Rocky Mountain Lions Eye Bank is one of greatest success stories for the Lions of Colorado and Wyoming. Since 1982, the eye bank has been a fine demonstration of the concept of “Lionism.” It has developed into a world-wide leader in eye banking. It has restored the sight of over 48,000 people in 40 states and 34 countries. It is financially stable and an upstanding example of stewardship of resources and contributions. Eye banking and healthcare are changing in this country. There is much uncertainty as to the future of payments by insurance and Medicare, which have traditionally covered the expenses incurred to bring a cornea from a donor to transplant. Several eye banks have closed their doors in recent years due to increased regulation and competition for resources. Others have consolidated. Sadly, the number of eye banks that are no longer affiliated with Lions is on the increase. And in a move that undermines the altruistic nature of eye donation, the U.S. saw the first for-profit eye bank established. 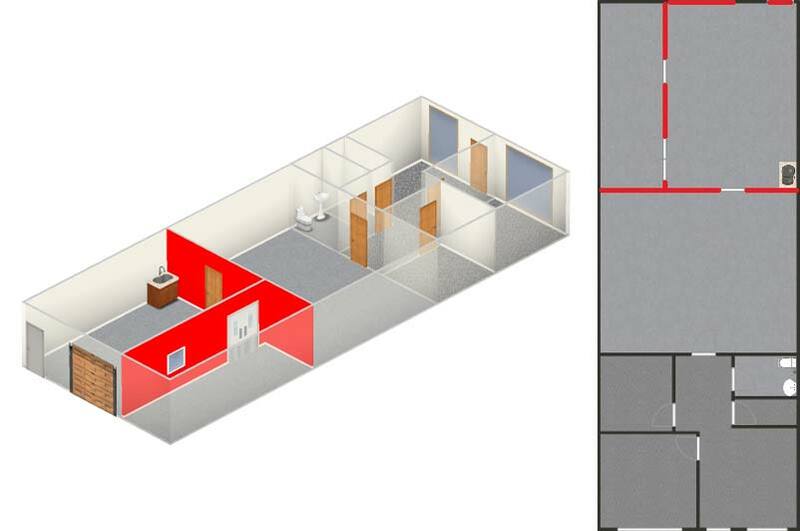 The proposed layout for the annex renovation. To remain viable, stable, and true to our mission, the Rocky Mountain Lions Eye Bank needs your continued support. On the horizon is the need to update infrastructure and technology. Today, we announce the goal of raising funds to remodel the eye bank’s annex building. The annex is a secondary location in Denver that currently houses a “clean” room used to prepare special types of transplant tissue. The remodel plans will allow the eye bank to also perform eye donor recoveries at the facility. This need arises from the fact that access to hospitals and funeral homes is becoming limited. More and more, coroners have restrictions on access to their facilities because of cuts to county budgets. This plan assures that the eye bank can meet its obligations to uphold the wishes of eye donors and their families to help another overcome blindness. Take the Heart of a Lion Challenge and contribute $20 or more toward the remodeling of the Rocky Mountain Lions Eye Bank Annex.